There are many ways one can upgrade their Dahlonega home, but sometimes the most important upgrades are overlooked. When building the foundation of your home, installing Dahlonega spray foam insulation can be just the thing that will help you and your family reaps the benefits of many different things. Being energy efficient is a quality in a home that we all crave for. 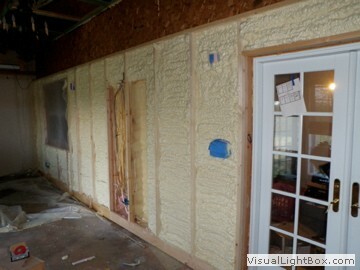 Spray foam insulation stops any air from escaping the cracks of your walls, saving you a bundle of money in energy bills. Not only does the insulation stop the air from flowing out, but protects you from any harmful toxins that are allowed to push their way through a wall that lacks insulation. This means that any dust, pollen, or mold that was once allowed to habitat the barrier of your Dahlonega home is now shut out. With years of service experience providing the Dahlonega area with the absolute best in spray foam insulation and whole home energy efficiency services, you cannot go wrong in turning to the qualified professionals at Southeastern Insulation. We take great pride in the craftsmanship of our work and are wholly dedicated to offering the very best customer service at all times. If you want to take your home to new heights of energy efficiency, then you only need to call on us! If you’re looking for a professional Dahlonega Spray Foam Contractor, then give us a call today at 678-561-FOAM or complete our request estimate form.